Spring has just sprung but House of Brides is thinking ahead to bridal fashions of Fall 2015! Designers are presenting their newest wedding dress collections across the country and House of Brides’ buyers received an exclusive look at the newest bridal gowns straight from the runway. Our buyers are excited for the new bridal designs on their way later this year and especially for several strong trends for Fall 2015 wedding dresses. Fitted and mermaid bridal skirts have been popular in the most recent seasons but the ball gown is making an inspired comeback. The new ball gown wedding dresses focus on classic details like inverted pleats and rich volume in timeless fabrics like satin, Mikado and tulle. Design twists are also in play for Fall 2015 bridal ball gowns. Tiered hemlines and hand-corded finishing give the traditional ball gowns visual interest and add to its movement. Ball gown bridal gowns accentuate the waist and conceal the hips creating a beautiful and easy to wear silhouette for all body types. The ball gown wedding dress is ideal for formal events or for any Bride looking to tap into their inner-princess! The prevailing accent for the Fall season seems to be the bow. Designers are embracing the ladylike bow and using its placement on the wedding dress to transform the traditional bridal embellishment. From oversized back bodice bows to delicate belted bows, the bow is reminiscent of French Couture. Strapless bridal gowns have reigned as the preferred neckline of Brides for the last several seasons. However, designers have been introducing modified necklines and more modest bodices. Fall 2015 continues this trend with the illusion neckline. Illusion wedding dresses are combined with an array of necklines, from bateau to V-neck, and give coverage without distracting from the gown design. Brides can wear a bold plunging neckline with confidence because of the extra coverage of the illusion. Illusion necklines can also elevate the bodice design. Lace and beading on illusion creates architectural detailing that appears to “float” on the neckline. A dramatic trend for the next season is the fit and flare wedding gown. Tailored from the waist through hip, fit and flare gowns cut dramatically above the knee and flow to a full bottom. The mermaid wedding dress has been especially popular over the last 2 seasons. Mermaid skirts are also fitted from the waist through hip but instead flare at or just below the knee. 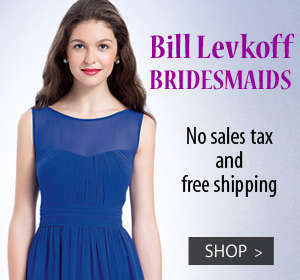 The fit and flare though provides Brides a more hourglass shape with emphasis on the natural curves. 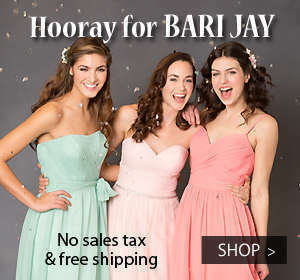 The fit and flare bridal gown works with most body types and all event types from formal, informal and destination weddings. The Fall 2015 forecast is calling for gorgeous bridal gowns styled in the newest trends! Shop Wedding Dresses on houseofbrides.com for designer bridal collections including new arrivals!